On 31 January 1945, soon after United States Army forces landed on the beaches of Nasugbu, they went in pursuit of Japanese Imperial Army forces who were caught off-guard by the landing into the mountains of Batulao, Cariliao and Tagaytay where they would burrow themselves into defensive positions. So speedy was the American advance that the Japanese were left confused and off-balanced. Fortuitously, American soldiers caught a group of Japanese soldiers as the latter were trying to blow up the Palico Bridge and gunned them down before they could get to their detonators. 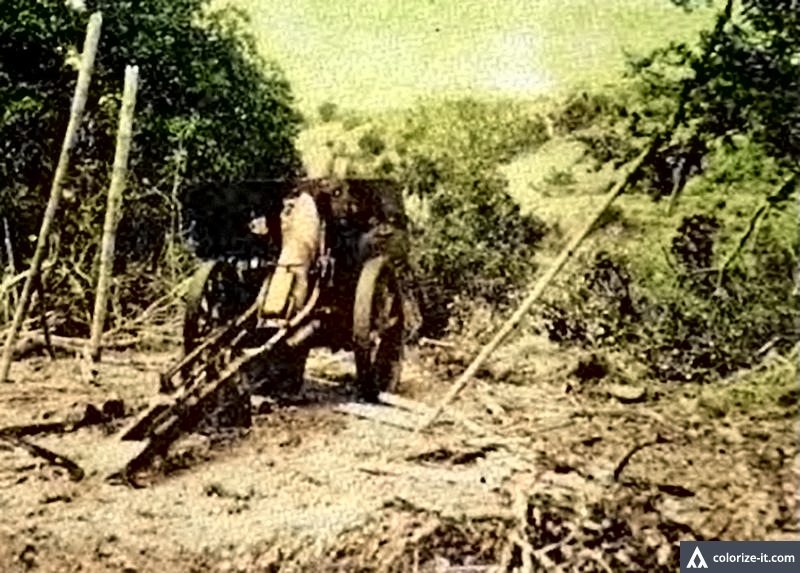 Had the bridge been blown up, this would have seriously slowed down the American pursuit since the 8th Army that landed in Nasugbu did not have heavy equipment for rapid bridge repair and construction. Drive on the Americans did, therefore, through Barrio Aga on their way up the mountains. 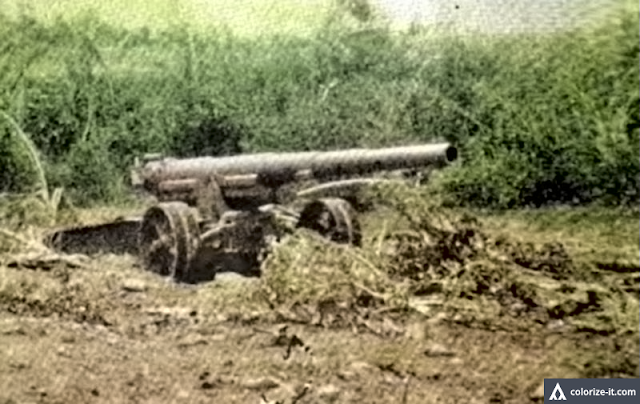 The pictures in this post are of artillery guns that the Japanese presumably left behind in their hasty retreat up the mountains to better fortified positions. They were taken from the public domain book “The Angels: a History of the 11th Airborne Division, 1943-1946,” written by Major Edward M. Flanagan Jr. and published in 1948. The original scans have been processed using graphics editing software and then colorized courtesy of Algorithmia.